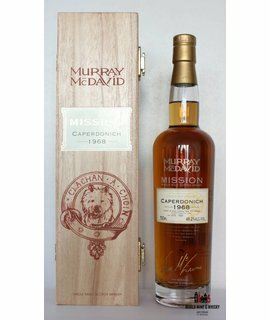 The Caperdonich distillery was a producer of single malt Scotch whisky that operated between 1898 and 1902, and then again between 1965 and 2002. Caperdonich whisky was a component of some blends of Chivas Regal. Caperdonich, originally known as "Glen Grant #2", was built in 1898 by the founders of the Glen Grant distillery, J. & J. Grant. Glen Grant #2 closed after four years, and was dormant until 1965, when it was rebuilt by Glenlivet Distilleries Ltd. By that time, British law prohibited simultaneously operating distilleries from using the same name, and Glen Grant #2 was reopened as "Caperdonich". In 1967, two steam-heated pot stills were added. Technological advances allowed the distillery to be run by only two people.